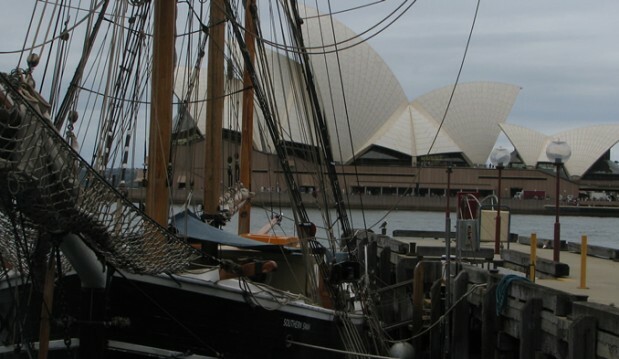 a 30 minute free guided walk from Circular Quay to Campbells Cove, where the Southern Swan tall ship is awaiting lunch cruise passengers. Along the way Jo will provide an introductory commentary about the beginnings of the colony, giving you the opportunity to “try-before-you-buy”. After the first half hour you decide whether you want to join the full Colonial Maritime History Walk at a cost of $33 per person ($60 per couple), join the Tall Ship Lunch Cruise or instead go opal shopping, have lunch, … or whatever else takes your fancy!